Because there are mainly large apartments in HAUT, there are only two to three apartments per floor. This makes the building feel small-scale. 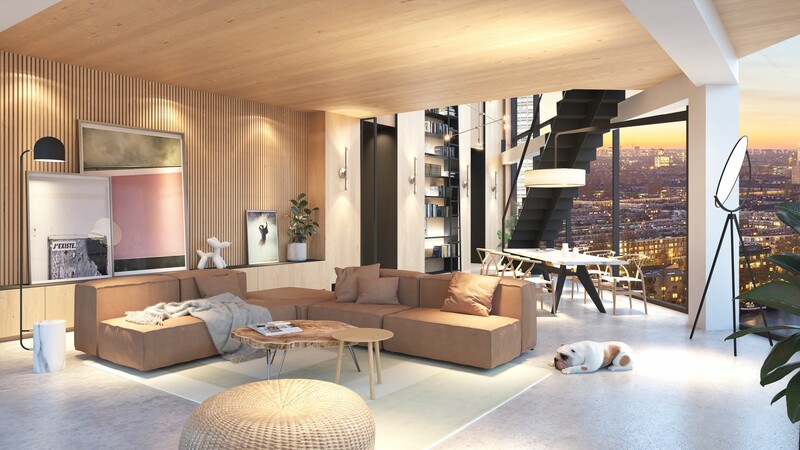 HAUT offers six different home types, spread throughout the building, with a variety of living spaces and floor plans. The outer spaces also differ in position and size, and are mostly oriented towards the South and the Amstel. HAUT is perfectly finished down to the finest detail and offers enough space to customize your home towards your needs. 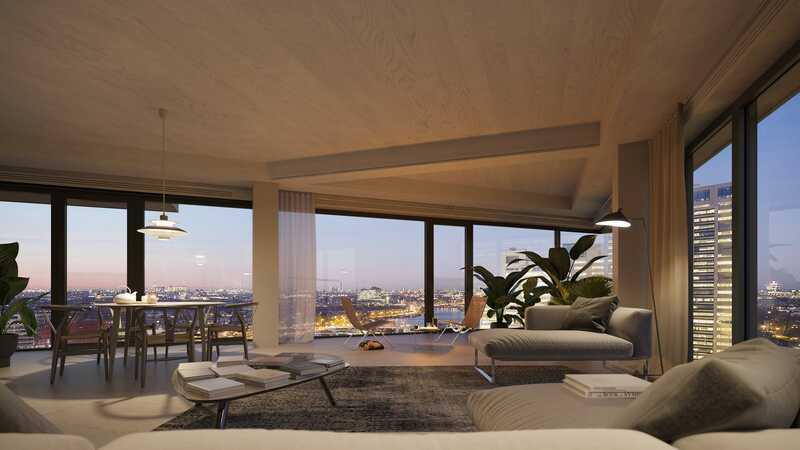 Apartments with a wide front and spectacular view of the Amstel. These apartments differ in total floor area, balcony orientation, and interior floorplans. Beautiful south and west facing corner apartments with the best position regarding sunshine. The apartments are about 140 m2 up until the 15th floor. From the 16th floor these homes are extra large (186 - 226 m2) and have very wide glass facades both west and south facing. 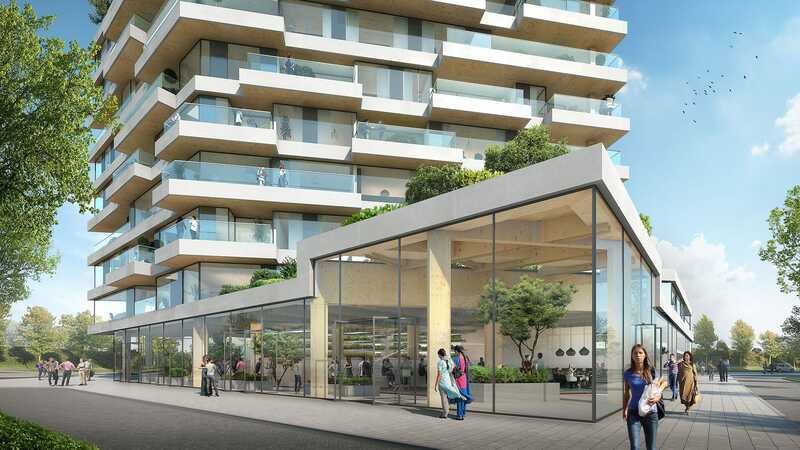 In phase 2 three special apartments with extra large terraces and roofgardens are introduced. They are located on the first and second floor and differ from 90 to 200 m2. 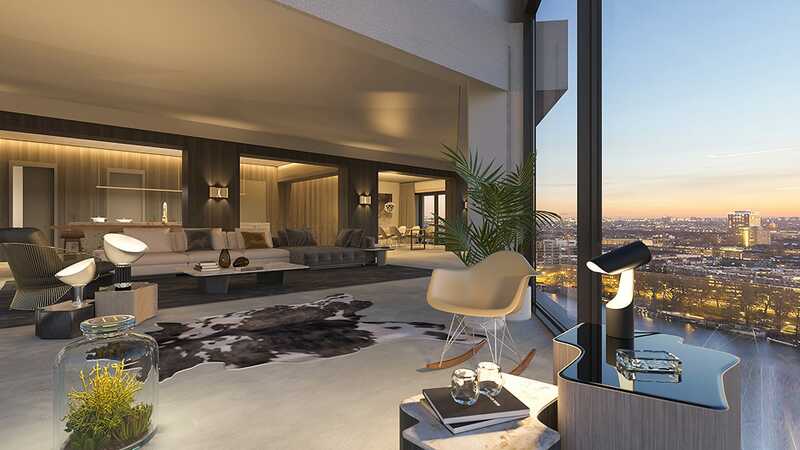 Exclusive apartments that are as spacious as the view of the city. 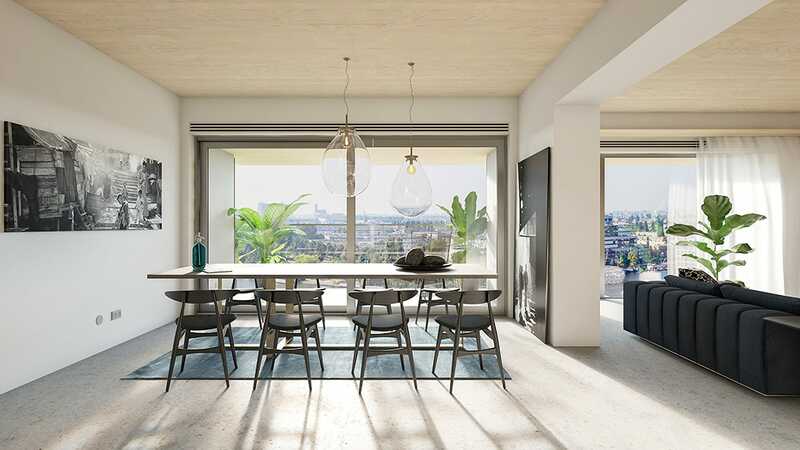 These apartments may differ in total floor area, balcony orientation, and interior floorplans. 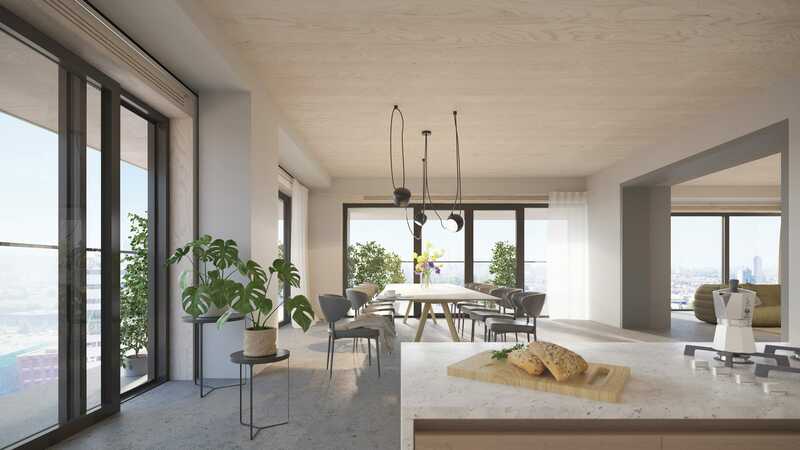 One of a kind exclusive apartment of about 232 m2 on the 14th and 15th floor with a large indoor double high living room and an extra high balcony in the point of HAUT, which is visible from far away. Two fantastic penthouses on the 20th and 21th floor. Huge terraces and balconies overlooking the city. No rights may be derived from the displayed information, floorplans and artists impressions. Discover the different apartment types by clicking on the numbers in the tower. The filters (such as Type and Surface) allow you to further refine the options. Some apartments can be customized at the request of a buyer. The layout of some apartments can be adapted at the request of a buyer. If, for example, you are seeking a very spacious 2 room apartment, see also the 3 or 4 room apartments.